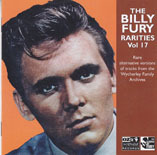 Further volumes in the Billy Fury Rarities series. 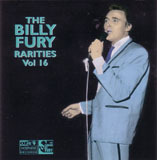 V. 19 is £12 plus £3 P&P inside UK, £5 P&P outside UK. 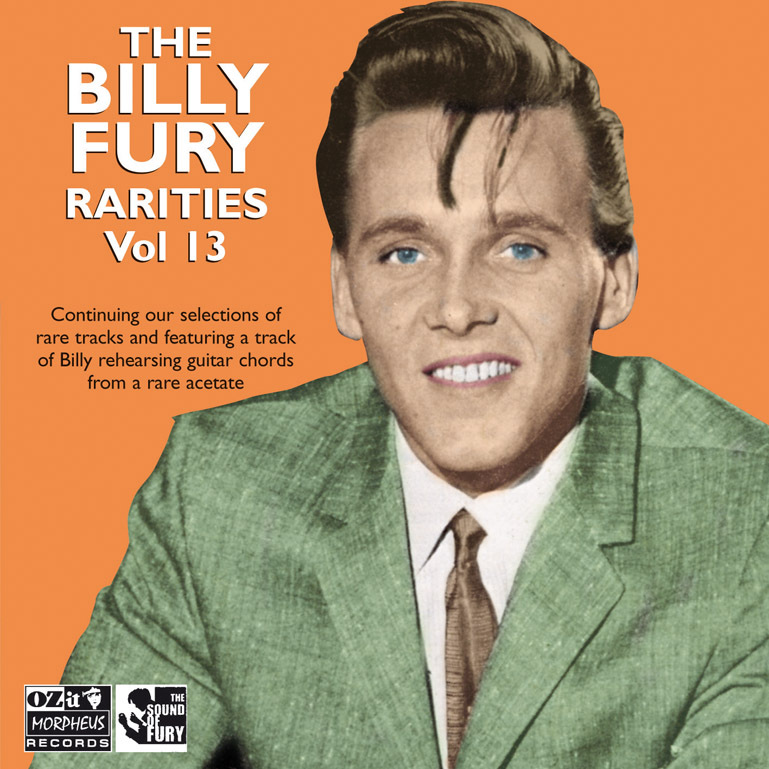 These are limited run CDs and will not be going to any other retailers. 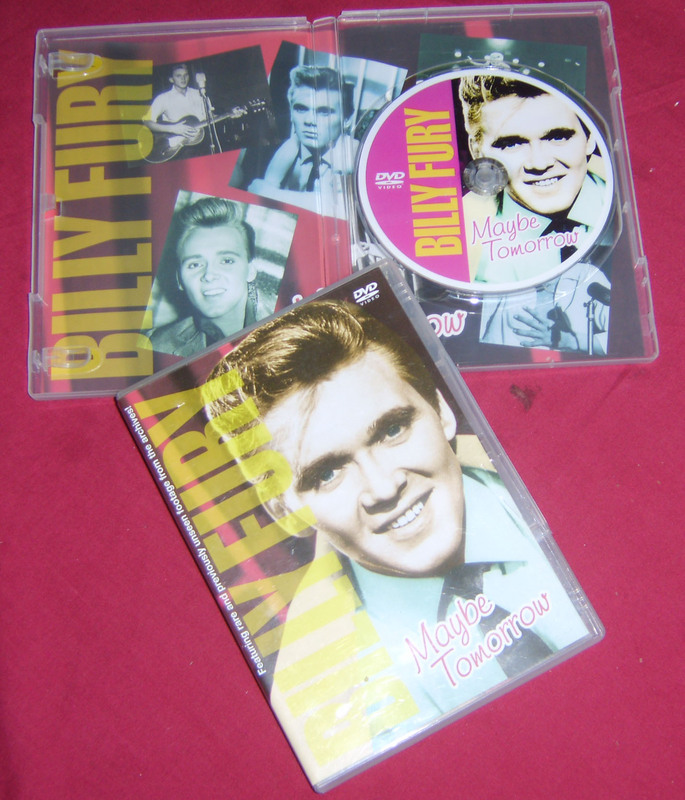 Two further volumes in the Billy Fury Rarities series. 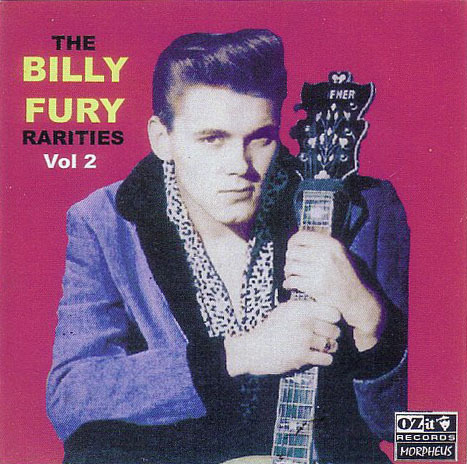 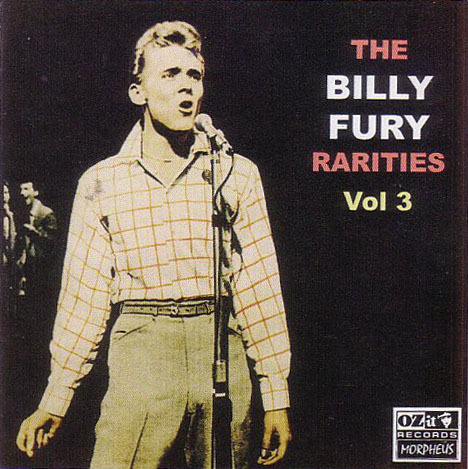 15 tracks on each CD - of rare versions of Billy Fury performances and what is probably the most important Billy Fury find for years - one track on each CD is taken from a rare early acetate of a recording of Billy Fury rehearsing acoustic guitar chords for a recording session. 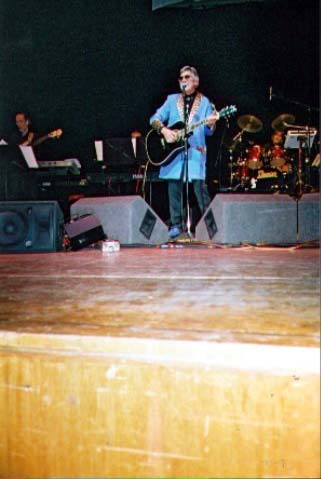 Yes, just Billy rehearsing on acoustic guitar - the acetate recording is dated 1959. 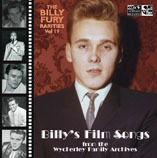 Each volume comes with a superb full colour foldout CD booklet with a few previously unseen images of Billy Fury. 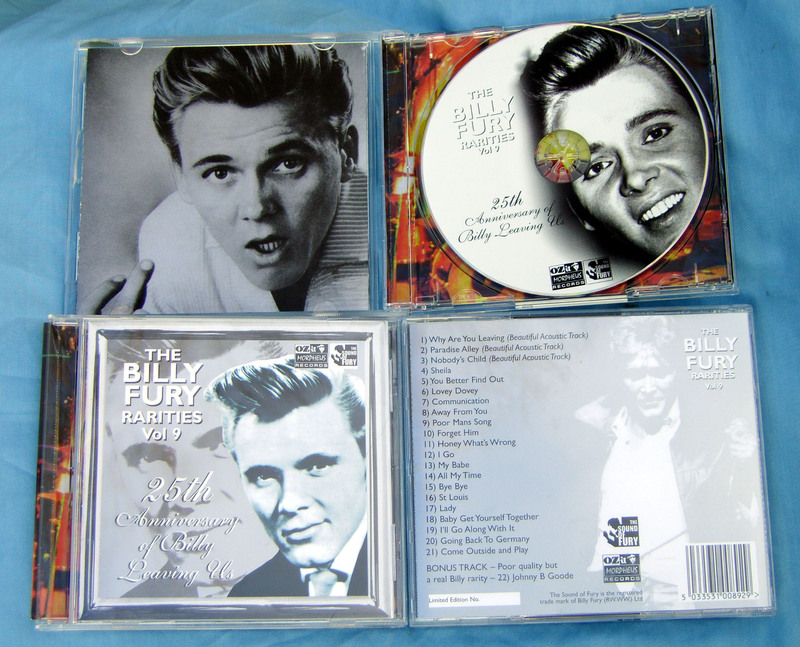 Owing to the high cost of the purchase of the two acoustic guitar acetate tracks for the Billy Fury archives, each CD is £23 plus £3 P&P inside UK, £5 P&P outside UK. 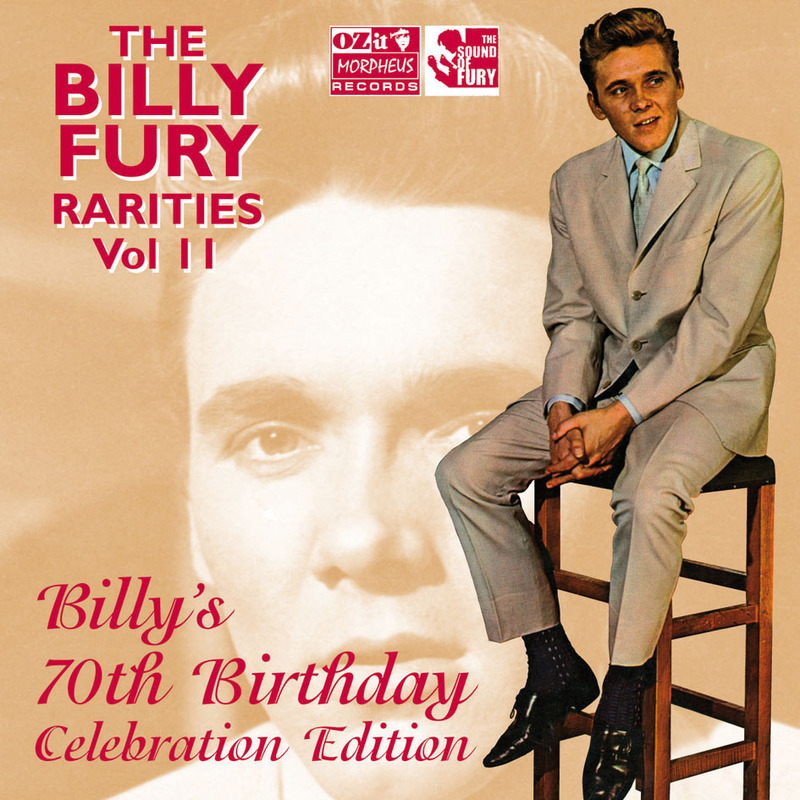 To celebrate what would have been Billy Fury's 70th birthday, we continue with our popular rarities series - with the Special Birthday Editions, Volumes 11 and 12. 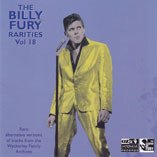 18 great tracks on Volume 11; 21 great tracks on Volume 12. 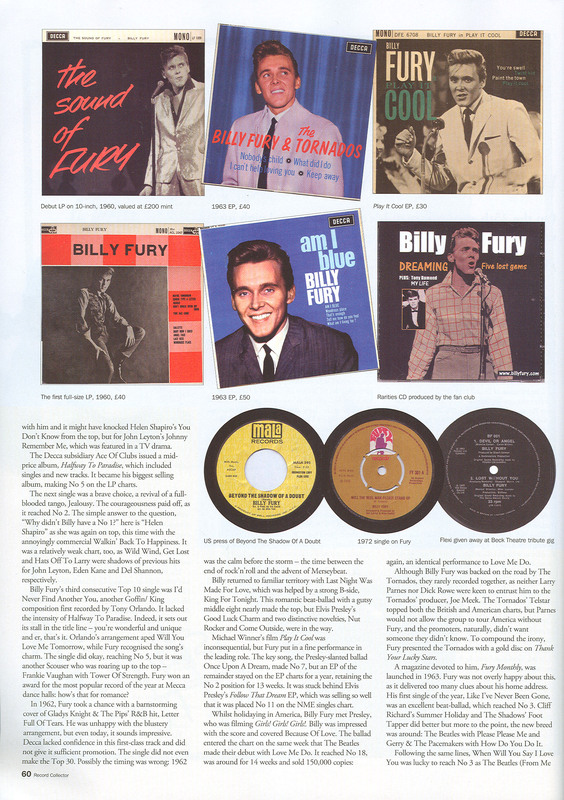 Fold-out birthday CD booklet. 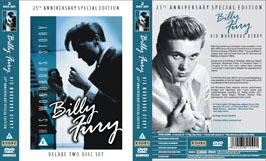 Price each: £19.90 plus £3 P&P inside UK, £5 P&P outside UK. 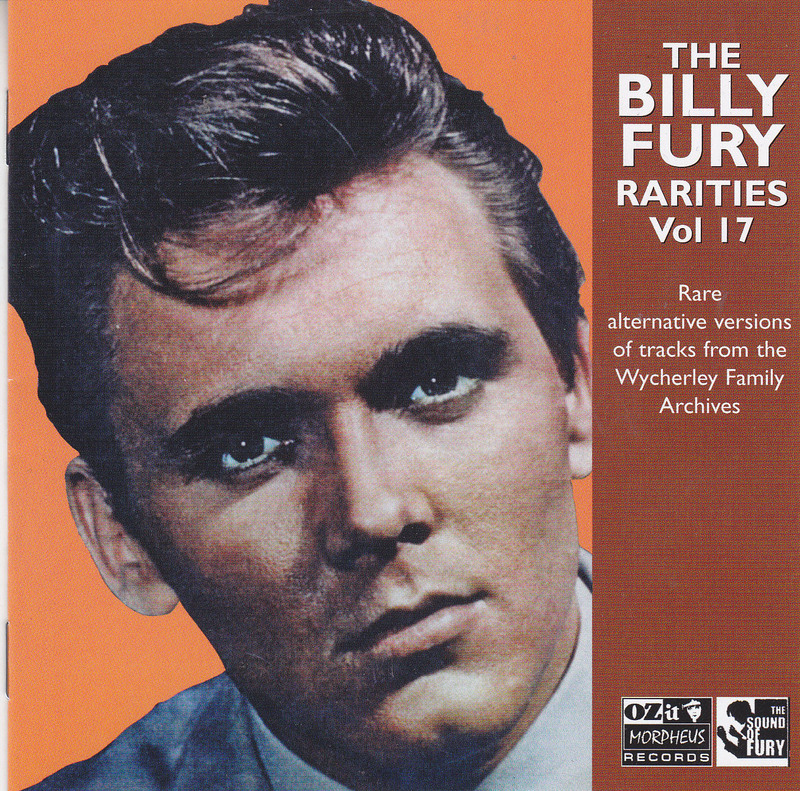 Not available in shops - very limited supply - the rarities series has become much sought-after and a couple of complete sets went for a very high price at a recent music memorabilia auction! 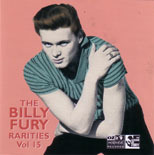 Order from 17th April 2010 for delivery in about 14 days. 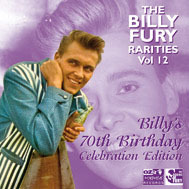 £26 + plus £3 P&P inside UK, £5 P&P outside UK. 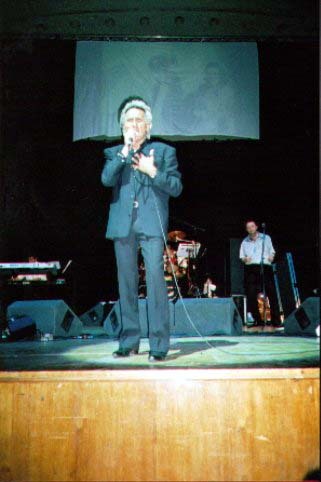 Only a few numbered, signed, certificated copies left now - the signed certificated version was always going to be rare with it containing the eight extra postcards and the certificate, but no one expected it to virtually sell out so quickly and for it to be resold second hand at over £70 in some places! 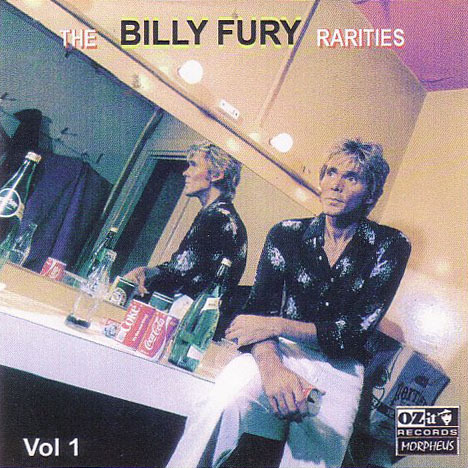 Snap a new one up now whilst some are still left - remember, only Ozit-Morpheus website and www.billyfuryofficial.com sell the signed, certificated version with the special extra set of postcards! 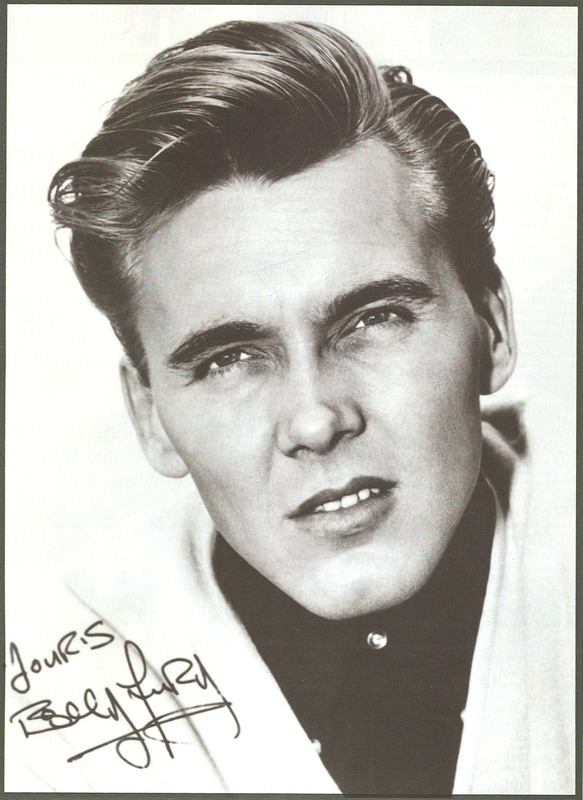 January 28, 2008 was the 25th anniversary of Billy Fury's passing. 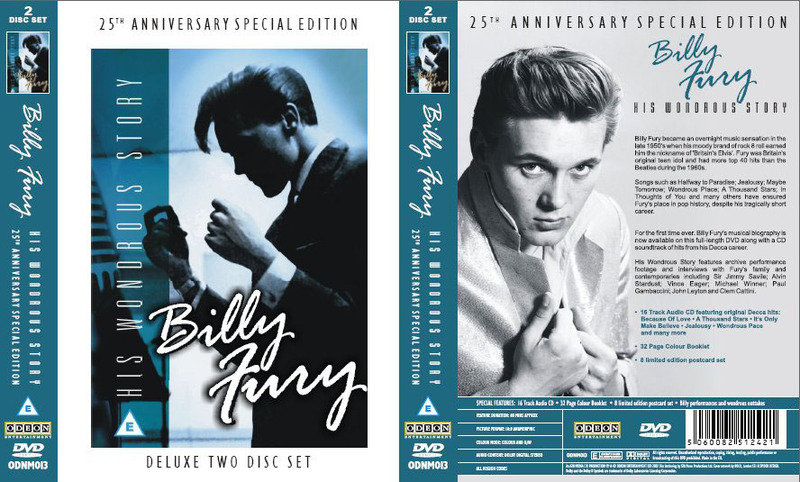 To commemorate this date, Ozit-Morpheus Records, Billy Fury Ltd. and The Wycherley Family, in conjunction with Odeon Entertainment, released a special version of the 25th Anniversary DVD, "His Wondrous Story". 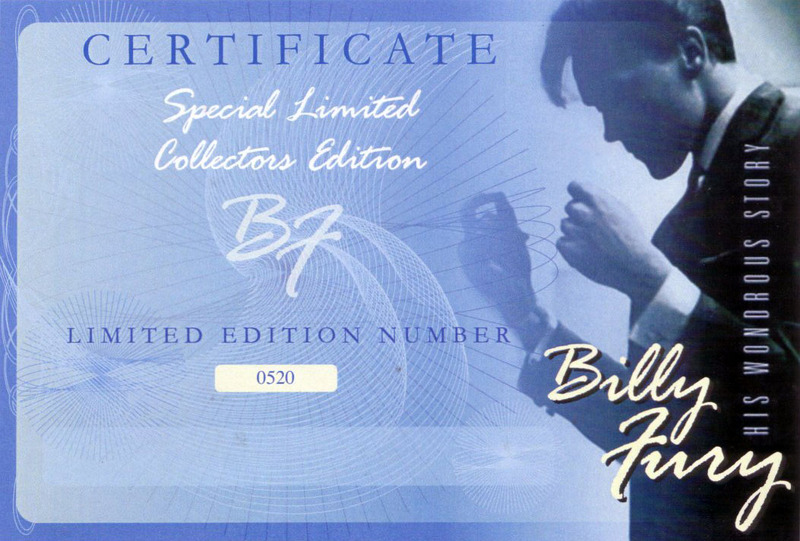 The special numbered certified Limited Edition CD/DVD box set contains a numbered certificate signed by Billy's mum and brother. 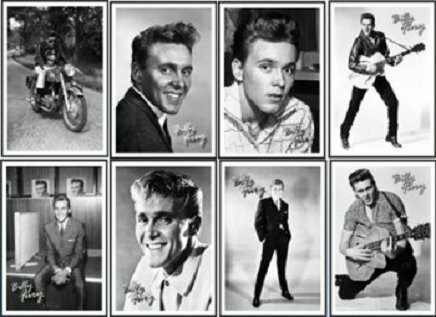 It also includes an extra set of eight Billy Fury colour postcards. 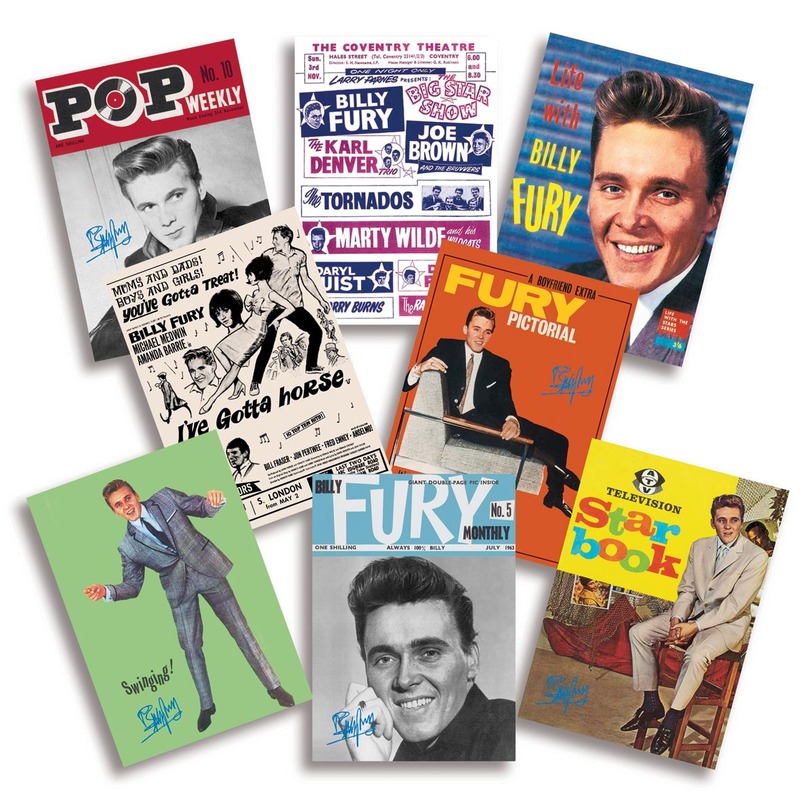 This special limited run set with the signed certificate and the colour postcards set is only available via mail-order from Ozit-Morpheus Records/Billy Fury Ltd. 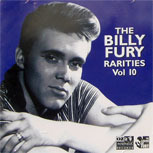 This CD, Volume 10 in the rarities collection, is not available in the shops and possibly never will be. 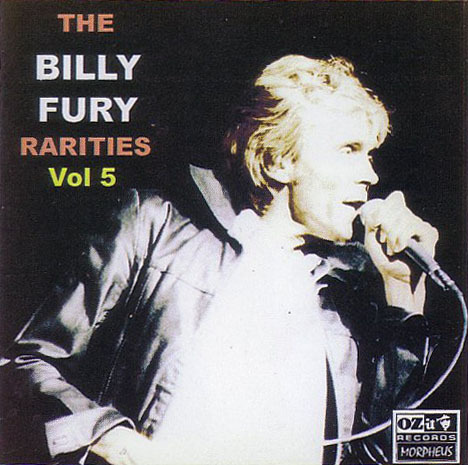 Only available from Ozit-Morpheus records via mailorder. 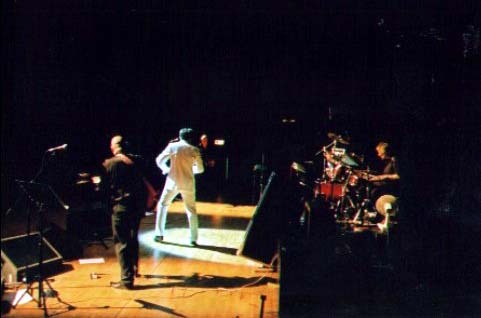 18 tracks - two-thirds are rare live recording, one-third - rare live studio material. 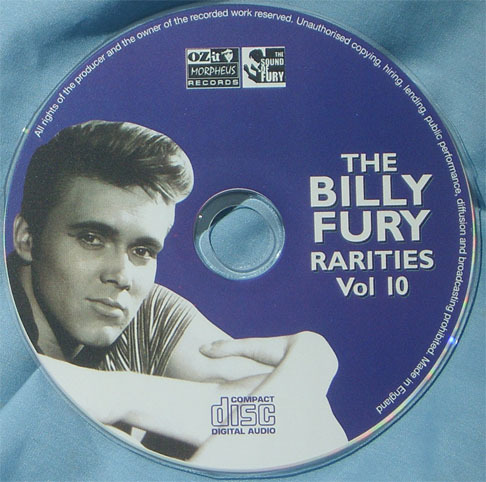 Price £16 plus £3 P&P inside UK, £5 P&P outside UK. 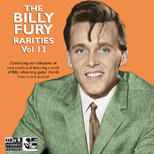 International radio station Big L 1395AM / Sky Digital 0190 will be featuring Billy Fury on its hugely popular programme, This Sunday At Nine, this coming weekend. 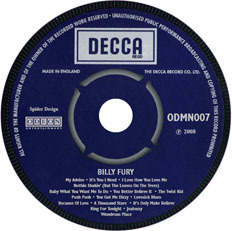 Hosted by former Radio 1 DJ, Mike Read, the hour-long programme will feature classic Fury tracks, forgotten gems, as well as the songs that helped shape him. 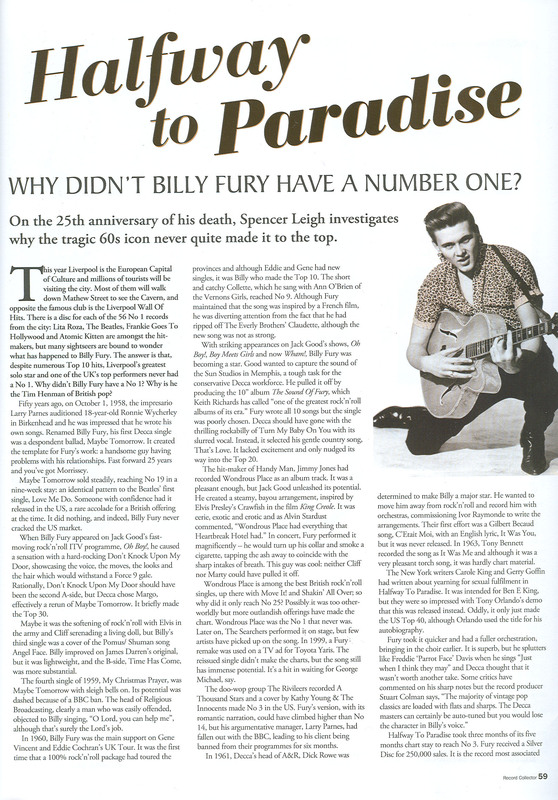 The show airs this Sunday (17th February) at 21.00. 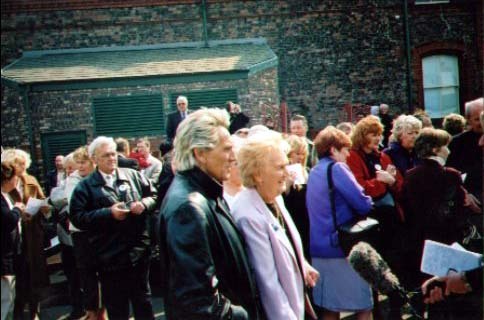 It repeats next Wednesday (20th February), also at 21.00. 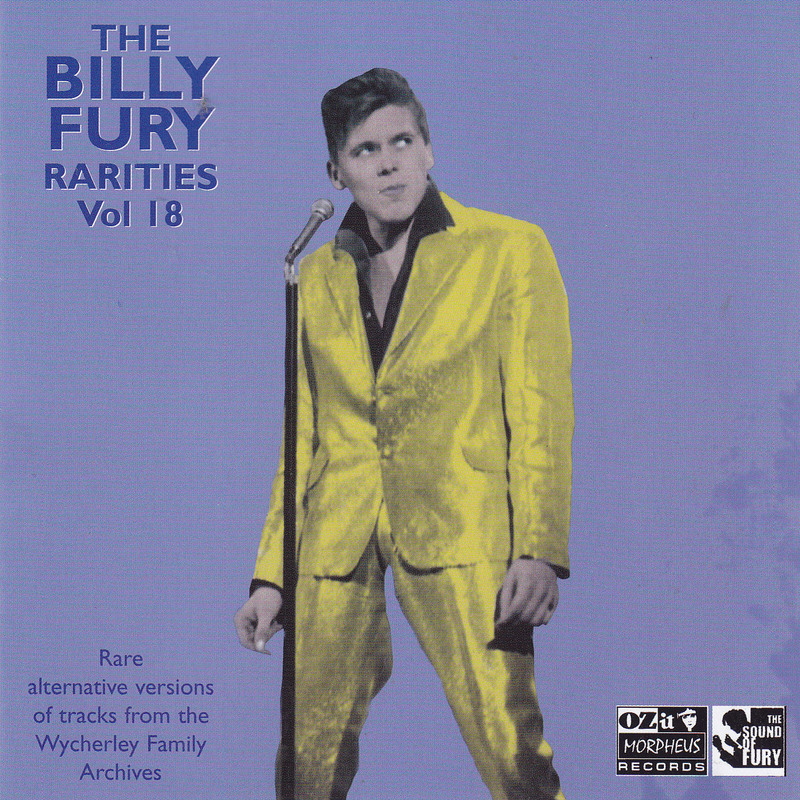 Special 25th Anniversary Limited Edition CD Rarities Volume 9 is now available! 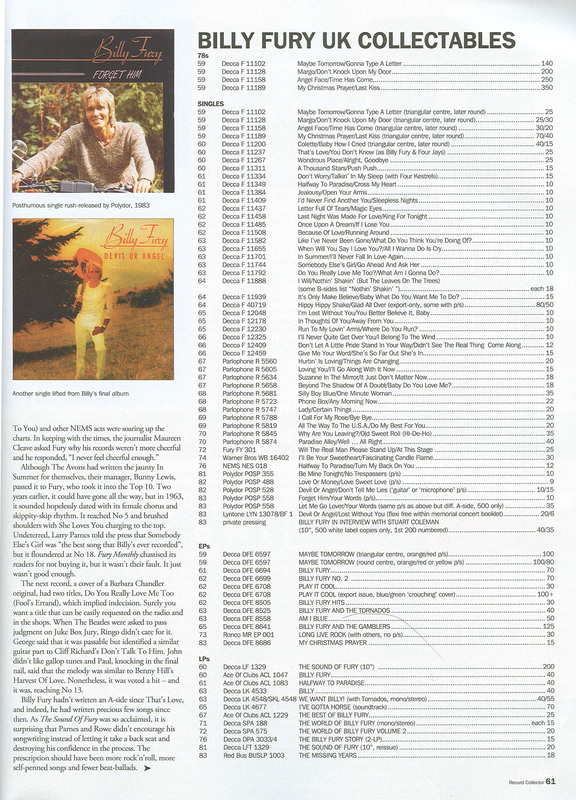 Each one is hand-numbered on the back. 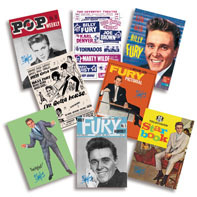 If ordered from this website, it comes with a set of 8 Limited Edition colour postcards of Billy Fury to celebrate his 25th Anniversary. 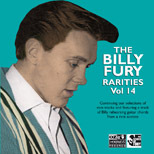 The price is £14.75 inside the UK; add extra postage outside. 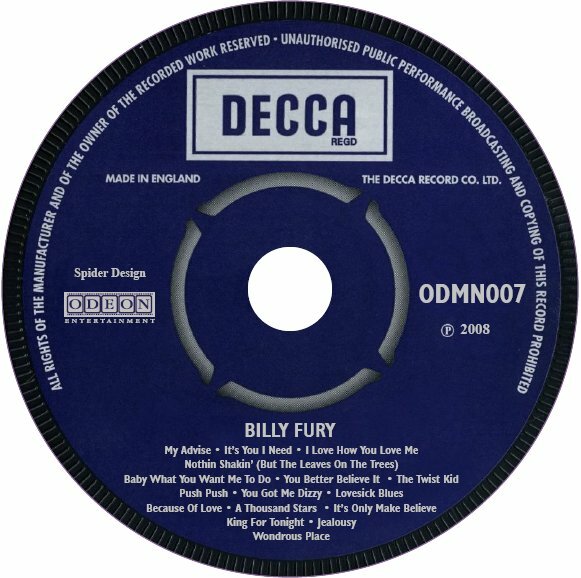 Some merchants are selling a bootleg version of the official DVD by Odeon Entertainment - it is appearing at record fairs, etc. 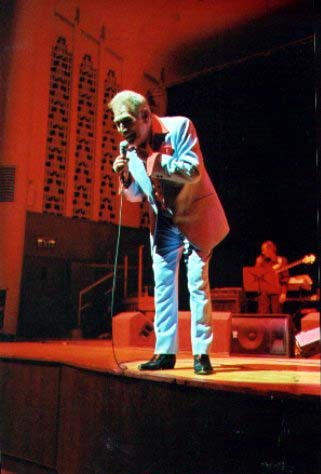 and does not have the DVD booklet in the case or a blue case. Buying a bootleg product deprives Billy Fury's family of their royalties and all the people who have worked hard on the film - of their investment of time and money. 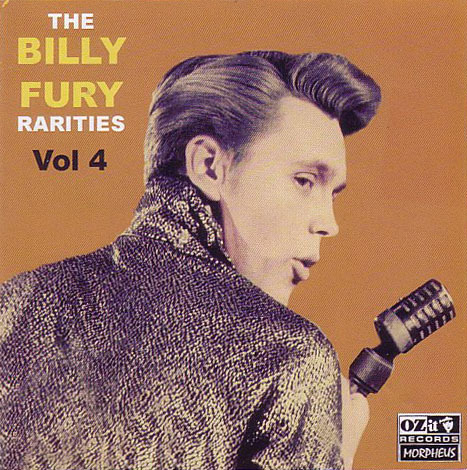 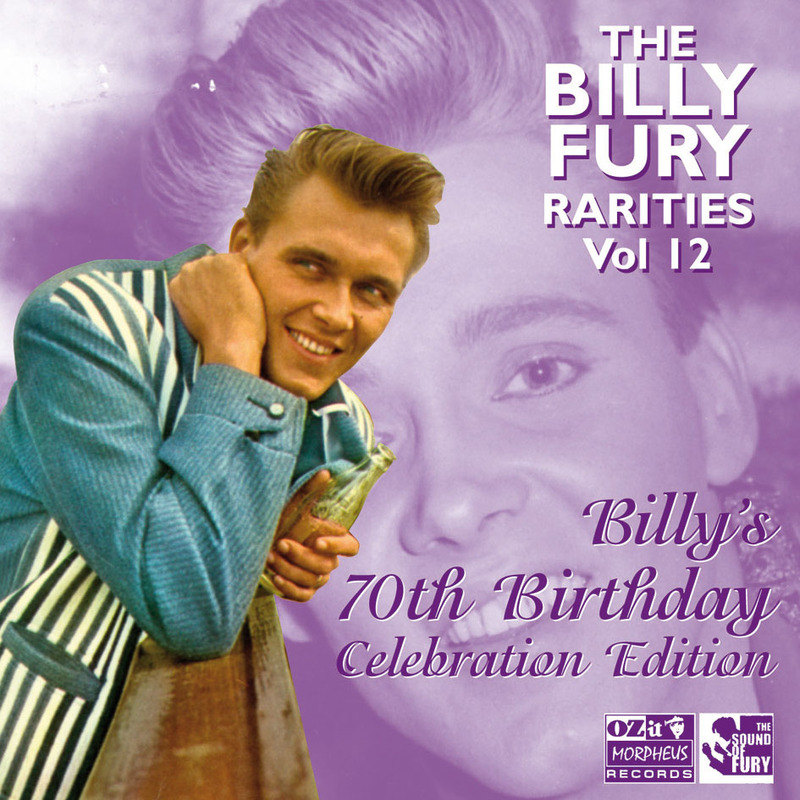 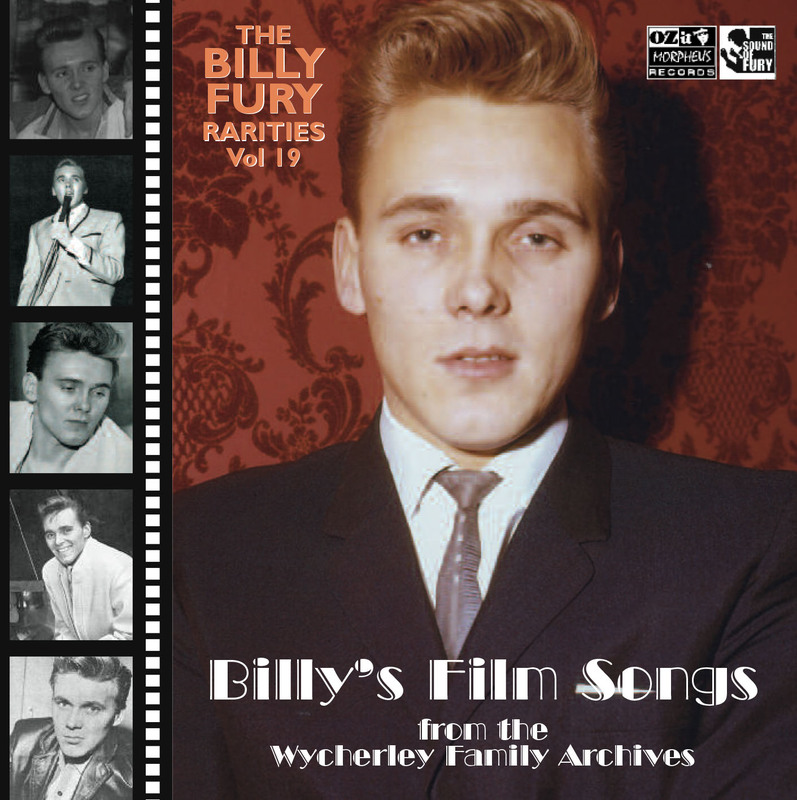 7 new limited edition CD volumes of Billy Fury Rarities are to be released by Ozit Morpheus Records in collaboration with Sound of Fury Records and the Wycherley family. Volumes 1 to 6 are to be priced at £14.75 each (including postage inside the UK) and will only be available via mailorder or phone (they will not be appearing in shops). 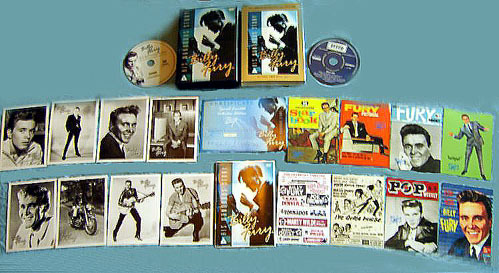 All have full colour Billy Fury booklets and contain rare tracks. 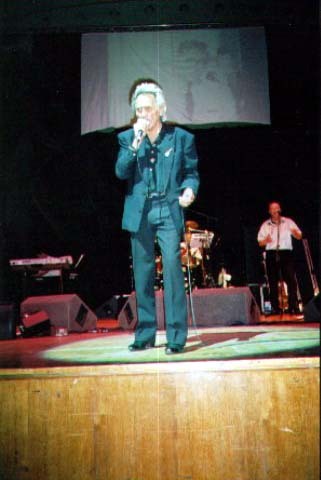 Order now for delivery before Christmas! 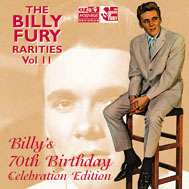 Volume 7 will only be available to those who buy a ticket for the Billy Fury Show at Southport Theatre on 17th June, 2006, as it will be a special release for that night. 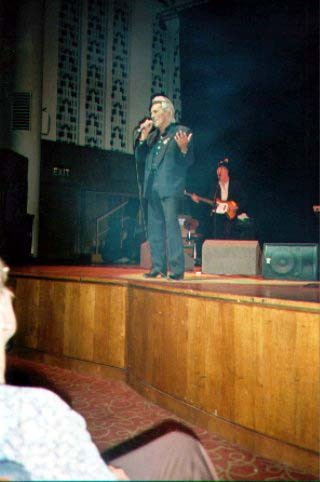 The show at Southport will feature Jason Eddie performing a tribute to his brother Billy Fury, Liverpool Express, The Passionettes and the Everly Brothers tribute band, Two Of A Kind. 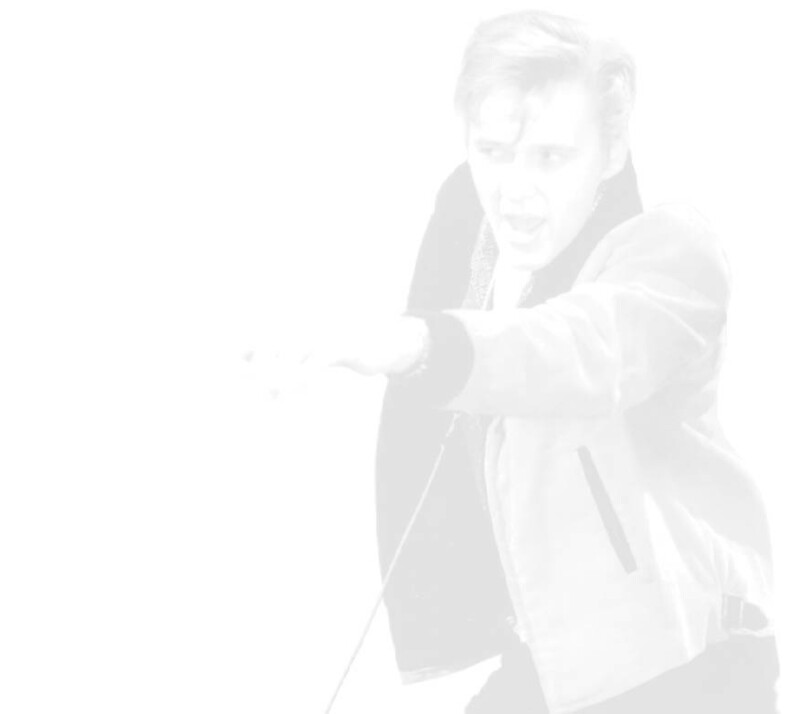 More artists to be announced. 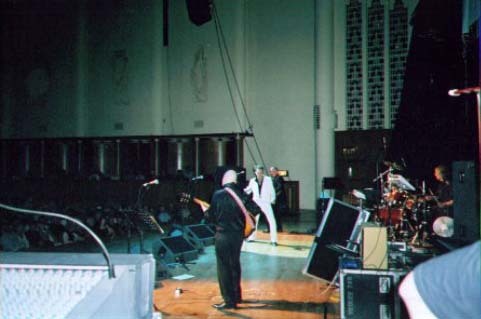 To celebrate this, Billy's mother and brother held a special concert in the lavish surroundings of Liverpool's Philharmonic Hall, Hope Street in Liverpool that same evening! 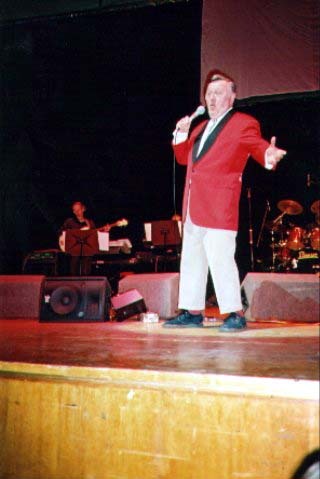 Compere was BBC Radio Merseyside DJ Frankie Connor. 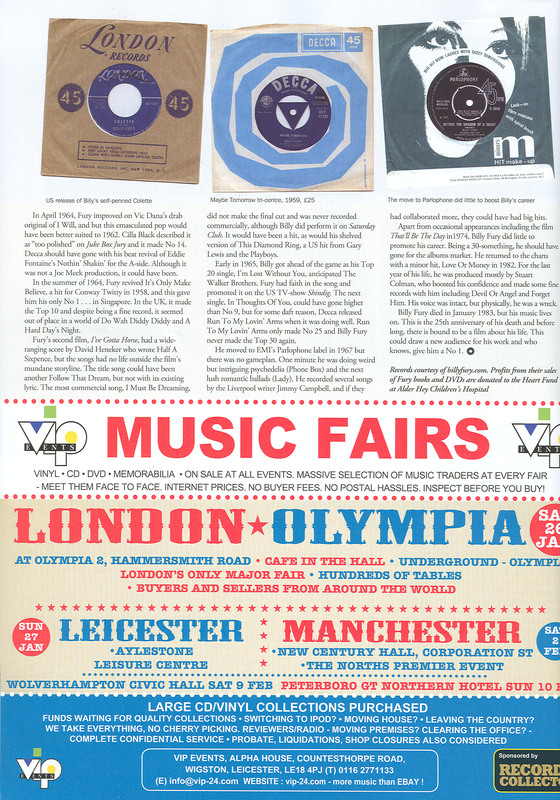 Also on display at the concert were Billy's first ever guitar and his first demo record!